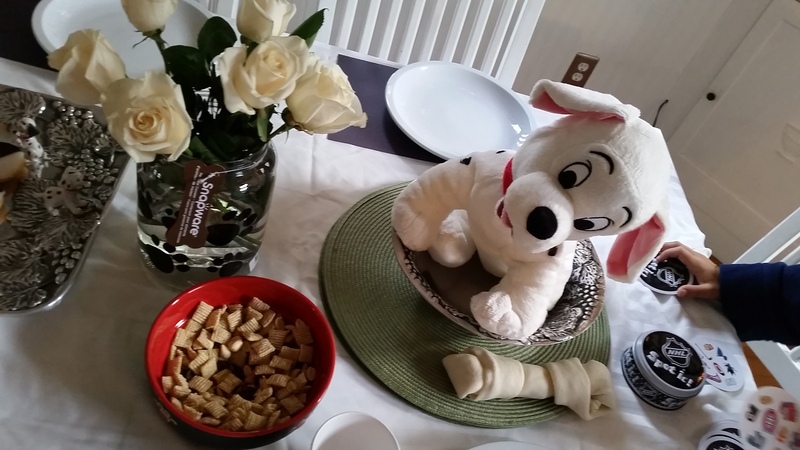 40 Years, 40 Disney Movies: Counting Down to Daddy’s Birthday Night 16 – 101 Dalmatians! Yep, another movie, another theme night, another installment of DADDY’s 40th BIRTHDAY HULLABALOOOHEYHOWDYHEY. For this one, we picked that Disney movie about animals. You know the one. Where they talk. 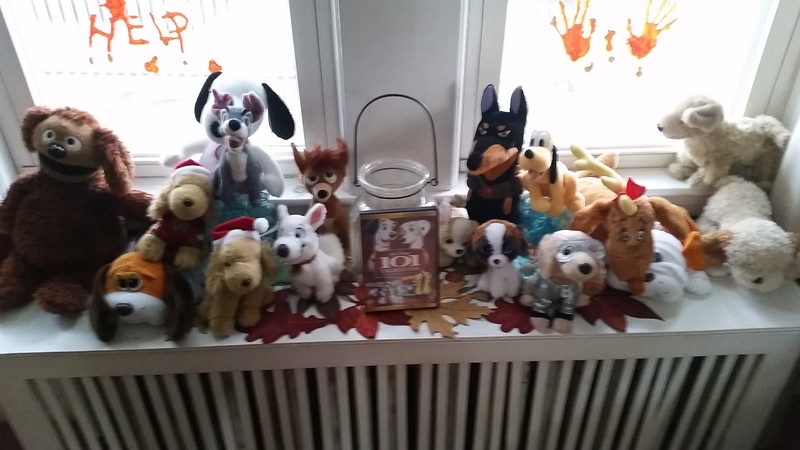 Yeah, 101 Dalmatians, that’s it. For this one, I was under the assumption it was just the five of us (including Daisy, obviously) but I turned my back for a second and our home became overrun with canines of the stuffed variety. Trusty – don’t even think about it. Pay no attention to the bloody handprints on the window. 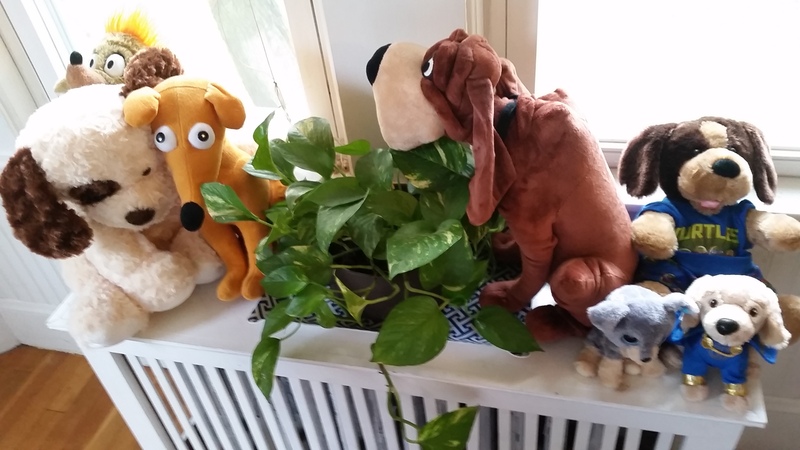 Please note: these are just a sample of the plush dogs Myles and Owen own. It’s a problem. For the main course, we had dog bones. Nahhhhh, they weren’t REALLY dog bones. 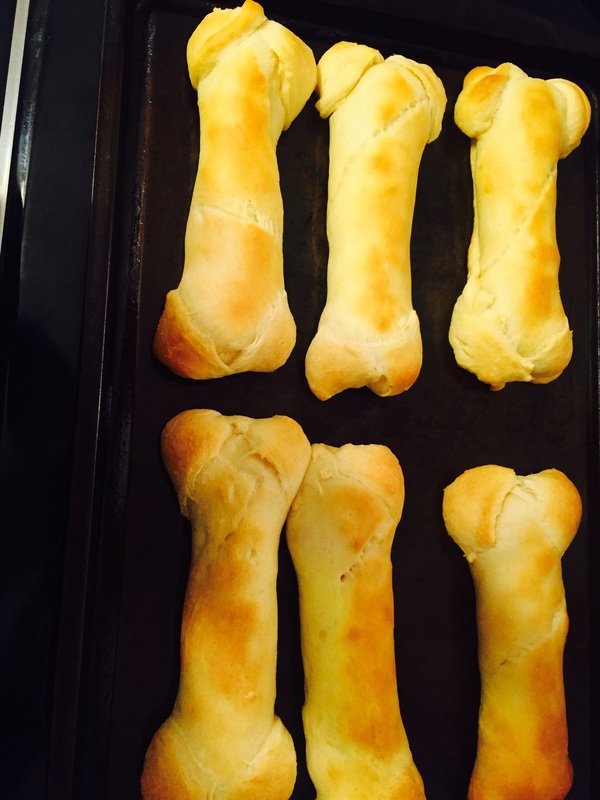 They were hot dogs wrapped in crescent rolls shaped like bones. We also had dog chow. NAHHHHH, it was actually just chex mix. 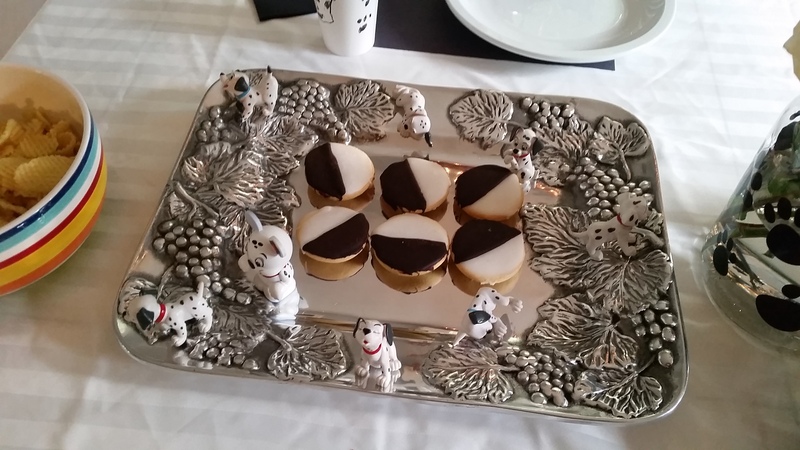 And we had Dalmatian cookies. PFFFFFFT, nah they were just black-and-whites. We also took heartworm pills. For the activity, we played an INTENSE game of NHL Spot It. Because it has the word “spot” in it and Dalmatians have spots. No, YOU’RE a stretch. Puppies – Puppies. Dalmatian puppies. 99 of them. I mean. Seriously. Plus, when Lucky stands up in front of the TV, it’s so cute. Though it does remind me of when Owen does the same thing when we are playing video games. He’s such an adorable little cheater. The midnight bark – There is this dog across the street from us. He barks like ALL. THE. TIME. This is the first dog I have ever wanted to punch in the face. But who knows? Maybe he is in the middle of an important transmission to the other dogs in the neighborhood. Hrm. Nah, that dog is an idiot. Cruella De Vil – I mean, come on. Cruella is a pretty awesome villain. She wants to wear dead puppies. Her seemingly endless riches and manic personality only add to both her wickedness and comic elements. While truly wicked villains like the Evil Queen and Maleficent are great, the ones that you can laugh at usually rank highest for me (Cruella, Scar, Gaston, etc.) 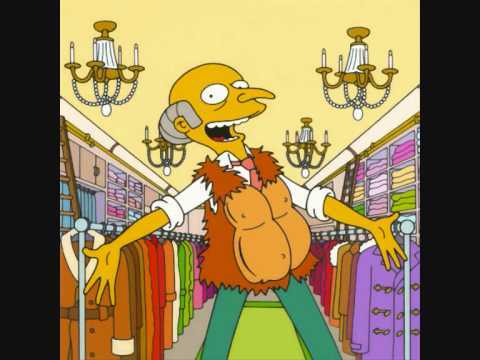 Bonus points for inspiring Monty Burns’ desire to turn the Simpson puppies into a greyhound fur tuxedo. I will say though – I feel like being so evil was sort of unavoidable for Cruella. I blame her parents. If you name your kid Cruella and all she does is try to kill puppies, consider yourself lucky. The animation style – Due to the poor showing of Sleeping Beauty at the box office in 1959, Disney animation almost shut down. As we know, this did not happen and it was partly due to some new animation techniques – specifically Xeroxing – that saved both time and money in the animation process by essentially eliminating the inking process. 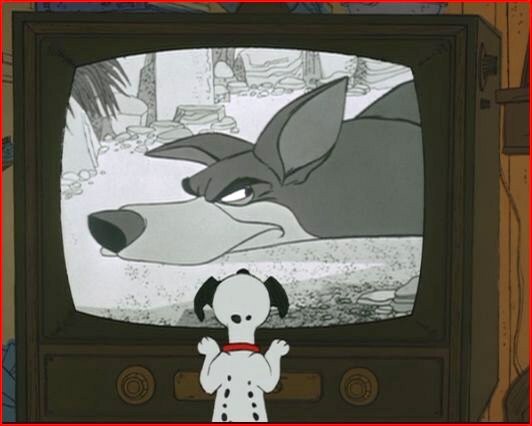 While this helped 101 Dalmatians see the light of day, it also created a very different look with more of a scratchy look rather than the more lavish, realist style of the previous Disney films. While this might look cheap to some, it has a charming feel to it and feels very 1960’s to me. I love the way this film looks. A movie doesn’t have to be complex to be good. Previous post40 Years, 40 Disney Movies: Counting Down to Daddy’s Birthday Night 15 – The Lion King! Next post40 Years, 40 Disney Movies: Counting Down to Daddy’s Birthday Night 17 – The Nightmare Before Christmas!